Packed with a legion of former Slovakian stars, the Abu Dhabi Storms made their intentions clear in the third staging of the Ice Hockey President’s Tournament on Tuesday with a comprehensive win over Emirates Hockey League All Stars. It was the EHL All Stars that drew first blood in their opening match at the Abu Dhabi Ice Rink to lead 1-0 at the end of the first period. However, the Storms hit back in the next, scoring four times before wrapping up the game 5-1. “It took a while for the players to strike a combination and when they did, they turned it on,” said Juma Al Dhaheri, the Storms and UAE national team captain. “We rounded off this game nicely and from now on we can only get better. The level of this competition has been raised considerably this year with every team strengthening their squads with some high-profile signings. Zelony Lubomir put the EHL All Stars ahead but the Storms shifted through the gears in the second period to put the game to bed. Andrej Nedorost, Juhani Matikainen, Lubomir Visnovsky and Al Dhaheri all found the net before Artur Zainutdivot rounded off the scoreline with the solitary strike of the final period. In the early game, Czech Sparta got the better of Mimino from Georgia 7-2 after a late flourish. The scores were tied at 1-1 at the end of the first period. Sparta led 2-1 in the next before netting five goals in the final period. On Wednesday, the Belarus President’s Team play Mimino in the first game at 5pm and the Storms take on Sparta in the 7pm match. Having won the Ice Hockey President’s tournament twice since it was established two years ago, the Belarus President’s Team have returned with hopes of retaining their stronghold on the title. It will not be easy for them, though, as the bar has been raised considerably higher, with the local side Abu Dhabi Storms adding to their squad six Slovakians who have featured in both the National Hockey League (NHL) and Euro Hockey League (EHL). Participating for the first time are two select teams from the established hockey nations Czech Republic and Georgia, and the other local entry Emirates Hockey League All Stars. The action on Tuesday night’s opening round at the Abu Dhabi Ice Rink will be between the Czech Republic and Georgia, followed by the Storms versus Emirates Hockey League All Stars. 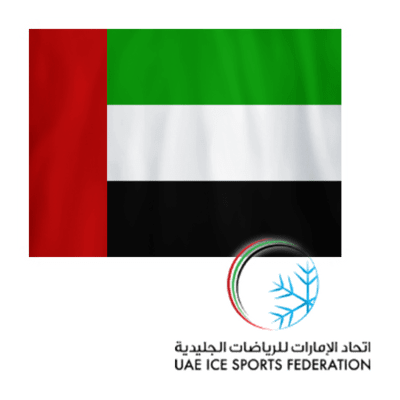 “It is part of our continuing efforts to raise the level of the competitions we plan to stage here in the Emirates,” said Hamad Al Shariyani, director of the Abu Dhabi Ice Sports Club. The Storms, a team made up of a majority UAE hockey internationals, have strengthened their squad by including Miroslav Satan, Peter Bondra, Richard Lintner, Lubomir Visnovsky, Rastislav Pavlikovsky and Andrej Nedorost. The Belarus President’s Team have quite a few players of the same calibre who have been behind their success on both appearances. “This is a high-level competition and we need to raise our own bar to compete with such teams,” said Juma Al Dhaheri, the captain of both Storms and UAE national team. “To play alongside such high-profile players is going to be a great opportunity. We are looking forward to this competition, and regardless of the results, we can learn from the experience. Tampa Bay Lightning prospect Taylor Raddysh (Erie Otters) scored twice and added an assist to lead Team OHL to a 5-2 win over Russia in Game 4 of the 2016 CIBC Canada Russia Series in Hamilton. Raddysh, who leads the OHL in scoring with 45 points (18-27–45) over 19 games, scored twice in a second period OHL scoring flurry of three tallies in under two minutes to take control of the game. OHL goaltender Michael McNiven (Owen Sound Attack) also earned high praise for his performance after turning aside 25 shots, many of them on high quality chances. McNiven was up to the task early, keeping Russia off the board in the first despite several big-time chances. He turned away consecutive opportunities from Danil Yurtaikin and Denis Alexeev in alone just shy of the midway point of the period before flashing the leather on Russian blueliner Kamil Fazylzyanov minutes later. Team OHL had a few chances as well, with Anton Krasotkin foiling Tampa Bay Lightning prospect Boris Katchouk (Sault Ste. Marie Greyhounds) from point blank range with five minutes to go. The OHL outshot Russia 11-9 in a scoreless first, but lost the services of Chicago Blackhawks prospect Graham Knott (Windsor Spitfires) in the opening two minutes of the game after he crashed into the Russian net and didn’t return. Russia came out firing in the second as McNiven stopped an early three-on-one to keep the game scoreless, but wasn’t able to stop Denis Alexeev 6:30 into the period as the 19-year-old’s quick backhander gave Russia a 1-0 lead. The OHL would come thundering back in the later half of the second though as the speed of Boston Bruins prospect Zach Senyshyn (Sault Ste. Marie Greyhounds) paid dividends. Senyshyn took a stretch pass from defenceman Jacob Friend (Owen Sound Attack), beating a Russian defender before tucking a backhander through the legs of Krasotkin at 14:48. Raddysh was hauled down on a breakaway a shift later, beating Krasotkin over the blocker on the ensuing penalty shot at 15:42 to give the OHL a 2-1 edge. That lead grew to two goals at 16:36 as Team OHL completed a flurry of three goals in under two minutes. New Jersey Devils first round pick Michael McLeod (Mississauga Steelheads) snapped a clean faceoff win back to a waiting Raddysh, who quickly wristed a one-time release over the shoulder of Krasotkin from the top of the right circle for his second of the night. Suddenly down 3-1, Russian head coach Valery Bragin called a timeout and opted to make a change in the crease as Krasotkin’s night came to an end after surrendering three goals on 21 shots. The OHL carried a 3-1 lead into the third period, outshooting Russia 24-18. Down two to start the third, Russia wasn’t done just yet. After failing to convert on an early power play, defenceman Alexander Shchemerov brought Russia back to within one, taking a drop pass from winger Nikita Dynyak to send a wrister over the shoulder of McNiven at 4:10. Tampa Bay Lightning prospect Boris Katchouk (Sault Ste. Marie Greyhounds) would reinstate the OHL’s two-goal lead with an assist from Raddysh at 6:41. Katchouk took advantage of a broken play, collecting the puck at the Russian blue line before using a defender as a screen to beat Vladislav Sukhachev over the shoulder. Hamilton Bulldogs forward Will Bitten would add an empty net marker in front of the FirstOntario Centre crowd to seal the deal on the 5-2 win, improving the OHL’s all-time record in the CIBC Canada Russia Series to 23-4-1. After a busy weekend of action with their club teams, OHL players didn’t show much in the way of fatigue in Game 4. Team OHL outshot Russia 32-27, giving the CHL a 7-5 series lead headed into Game 5 on Tuesday in Chicoutimi, QC. It’ll be a quick turnaround into the final two games of the 2016 CIBC Canada Russia Series as Team QMJHL looks to finish strong against Russia, hitting the ice for Game 5 on Tuesday at 7:00pm ET/4:00pm PT, a game that can be seen live on Sportsnet ONE, Sportsnet Pacific and TVA Sports 2.